It can be difficult and costly to obtain planning consent for onshore wind turbine projects and all planning applications are inherently risky – some much more than others. It is important to understand the extent and nature of these risks when considering a wind turbine project, and to understand the costs, financial returns and environmental benefits. Once these are adequately understood an objective view can be taken whether to proceed to a planning application and incur the costs of doing so. The assessment is broadly structured as below. scale of turbine (initial candidate turbine) may be appropriate and the most appropriate location at this stage of development. It is surprising how little of an apparently large area is physically suitable for a wind turbine, which is why this is the essential first step in the wind feasibility study process. Once completed, a clear ‘developable area’ or several possible areas should be visible (assuming there is one) where wind turbines could be installed from a physical constraints point of view. The report section includes the planning constraints maps themselves, a colour-coded analysis table clearly showing what’s considered low, medium or high risk and recommendations for further consideration during the Planning Sensitivity Assessment. The planning sensitivity assessment aims to quantify (within reason) the planning consent risks at the site. Broken into three key sections of Ecology, Landscape and Cultural Heritage within each section, all of the key sensitivities are analysed, and for each of these the closest five sites within the assessment radius are identified and reviewed. The distance to the location is measured and a scoring algorithm calculates the planning sensitivity. Basic checks are also made for coal mining areas and problematic orography. The various scores are aggregated at sensitivity and section level, then the results presented in a colour-coded summary sheet. More detail on individual sensitivities is provided on the scoring sheets for a more detailed review. Although wind planning risk is quite subjective, the Planning Sensitivity Assessment gives a good indication of the overall level of risk and where attention should be focused. The planning review uses our in-house planners to review (up to) the nearest 3 planning applications for similarly sized wind turbines, which can be a mine of valuable information that is directly relevant for any new projects in the area. By reviewing the consultation responses it is possible to get a better feel for the local planning sensitivities and the likely scope for a new wind turbine planning application. Also included is a review of Local Planning Authority plans and policies which will also shed lights on local issues that may add additional risk to your project. Finally, our planners have a brief discussion with the Local Authority to further assess their position on wind turbine development in the proposed area. Getting permission to connect your wind turbine to the electricity grid is a key risk to any wind project. At this early stage we assess grid capacity constraints in your local area using the tools and information we have available from the Distributed Network Operator. We also contact the Distributed Network Operator to obtain initial feedback on grid capacity issues that may impact your project. It should be noted that the only certain way to determine capacity is to submit a formal grid application in order to obtain a grid connection agreement, however that is generally inappropriate at this early stage due to the cost incurred with the application however it would be pruduent to apply for a grid connection agreement in parallel with the planning consent process to finalise grid connection costs. Using the wind resource and turbine type, scale and position determined at the earlier stages, we use our databases to assess the annual energy production from the wind turbine(s). For multiple wind turbine sites, at an extra cost, we can complete additional full energy optimisation modelling in order to position the wind turbines to maximise energy yield and minimise interference from turbulence losses – please contact us if you require modelled energy optimisation. We can then select the appropriate and realistic electricity export rate (or account for on-site energy use) to estimate the annual income that the turbine(s) will produce. We also take into account maintenance, insurance and business rates to give you a realistic income estimate after operating costs. We will also provide a budget cost estimate for the whole project, including the remaining feasibility stages, obtaining planning consent and then the design and installation of the system. After we have determined the most suitable wind turbine location, we will submit the pre-planning communications consultation to the statutory telecommunications bodies and complete a communications assessment based on the responses. This communications assessment checks for microwave links (and other communication links) across the proposed site that could either prevent the installation of a wind turbine or require the position of the turbine to be adjusted in order to lessen the likely interference to the communication link. If we determine that a communication link does conflict with the turbine position and there are no alternative positions available then we can determine the exact link path in relation to the proposed turbine location and complete communication link modelling and consultation with the communication service provider to try and mitigate the risk. If any communications providers charge for release of the communication link coordinates this would be charged as an extra item to the module at cost plus a 20% admin fee – charging for release of this information is rare. We can use the modelled link positions to negotiate ( for an additional fee) a suitable mitigation strategy with the communications link owner to either get them to accept the turbine location or determine the costs of moving the link. We use software tool and online resources to assess the most likely delivery route for the wind turbine(s), from the nearest major ‘A’ road to the turbine location in site. 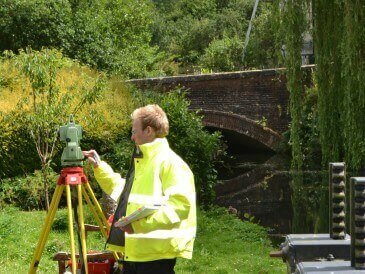 The assessment includes checks for sharp corners, excessive gradients, low bridges and weak bridges (where visible). The proposed route is then shown on a map with all areas of concern identified with images (if available) and categorised as low, medium and high risk, along with recommendations for any further work that may be necessary to further analyse specific risks. 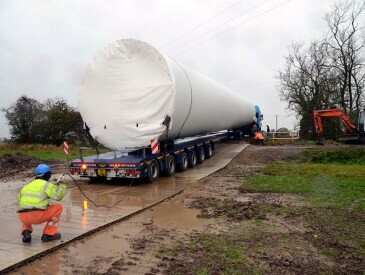 Note that this doesn’t replace a full access assessment which may be required at the planning application/installation stage, but does provide an initial check if it will be possible to transport and install wind turbine(s) at the site. 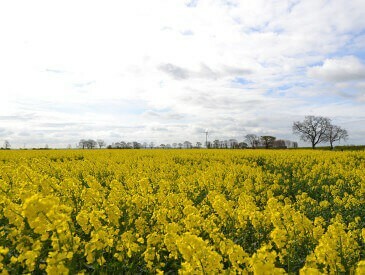 Nothing beats actually visiting a site and having a good look around the area for access routes and grid infrastructure, and to identify potential issues that are not visible to desktop base assessments – so once the initial feasibility checks have been completed the next step is a wind site survey. A wind site survey also provides a great opportunity for the landowner to discuss the project face-to-face with a wind engineer and get a better idea of what will be involved in the next stages. Any technical or planning sensitivities identified during the previous feasibility stages would be visited and reviewed in more detail during the wind site survey, the proposed access route would be driven, on-site electrical infrastructure studied in more detail (including the potential for on-site use) and copious photographs taken to inform the next stage. To conclude, the wind turbine feasibility report will provide a summary of key issues and risks to the project for all aspects assessed, and considerations for deciding whether to proceed to a planning application. We may identify further third party specialist assessment work to mitigate some of these risks which may help the planning application decision. Any additional third party assessments agreed will be charged at cost + 20%. The cost of a wind feasibility study, for single wind turbine is £3,975 + VAT ( and travel + subsistence depending on the site location ) for a standard assessment. If the assessment is non standard, or if for multiple wind turbine site, then we will quote for a bespoke report depending on the requirements. 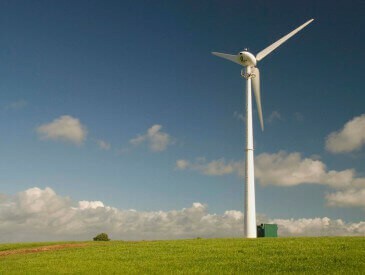 If you wish to proceed with a wind turbine feasibility study please contact us here.